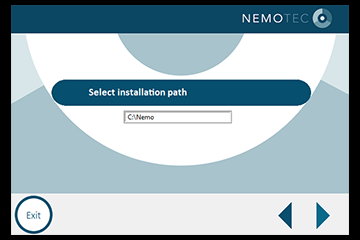 Once the order has been placed, you will receive an e-mail with your Nemotec license customer number to install the software. Click on the button SOFTWARE DOWNLOAD. Open the executable file (.EXE) that is downloaded. SOFTWARE INSTALLATION: start the process making click on the button Next. EULA: accept the End User License Agreement. Click on the button Next. TYPE OF INSTALLATION: choose Standalone to make the complete installation. Click on the button Next. 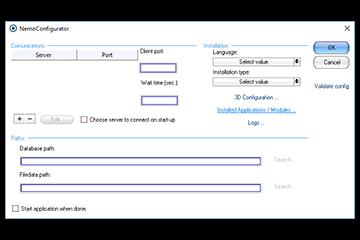 INSTALLATION LOCATION: choose the location where you want the software to be install in your computer. Click on the button Next. CONFIRM THE LOCATION: click on Accept if the location is correct. INSTALLATION PROCESS: click on the button Next to start the installation. 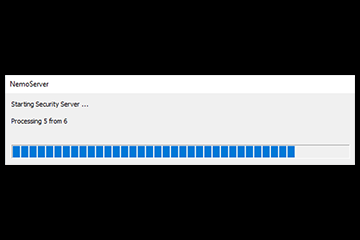 INSTALLATION PROCESS: wait until the software is being downloaded and installed. SETUP SHORTCUTS: Click to create the shortcuts in the Start-Menu and on the desktop. 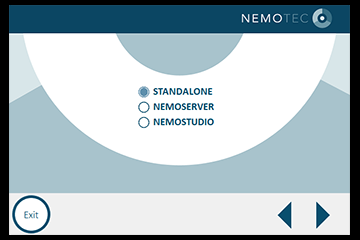 START NEMOSERVER: Once the installation is ended, start NemoServer by clicking in the desktop icon..
START NEMOCONFIGURATOR: Start NemoConfigurator by clicking in the desktop icon. 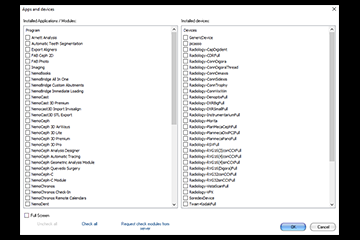 Select the Installed Applications/Modules menu on the screen. SELECT THE LICENSES: Click “Request check modules from server” to automatically select the user licenses. 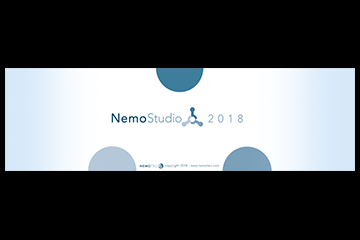 START NEMOSTUDIO: Start NemoStudio by clicking on the desktop icon. Accept the EULA-Licenses agreement. 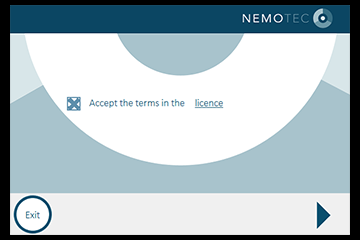 1st time – NEMOSTUDIO USE: After step 14, introduce data of the practice. 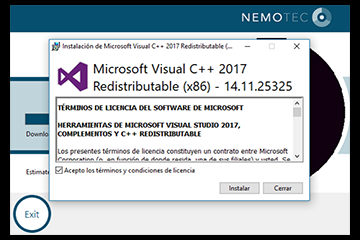 LANGUAGE: Select the language you want the software to be installed: Spanish or English. 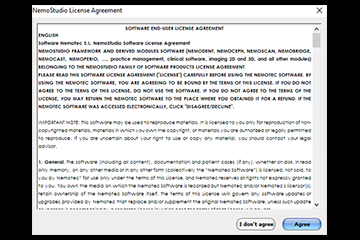 LICENSE AGREEMENT: Accept the End User License Agreement. Click on the button Next. INSTALLATION LOCATION: Choose the location where you want the software to be installed in your computer. Click on the button Next. 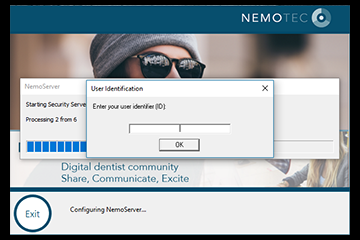 USER IDENTIFICATION: Introduce your license customer number and click OK.
START NEMOSERVER: Once the installation is ended, start NemoServer by clicking in the desktop icon. 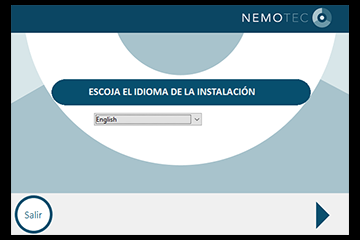 START NEMOCONFIGURATOR: Start NemoConfigurator by clicking on the desktop icon. 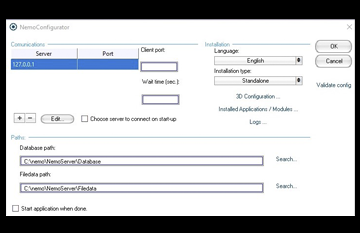 Select the Installed Applications/Modules menu on the screen. SELECT THE LICENSES: Click "Request check modules from server" to automatically select the user licenses. 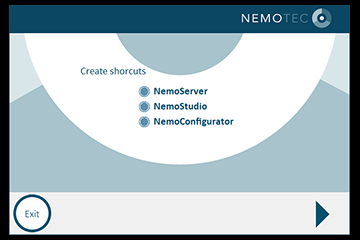 START NEMOSTUDIO: Start NemoStudio by clicking on the desktop icon. After step 10, introduce data of the practice. EULA: Accept the End User License Agreement. Click on the button Agree. If you have any question, please, check our FAQs or contact our support team.